Caen is a city in northwestern France, and capital of the region of Lower Normandy (French: Basse-Normandie). As of the 1999 census, the city had a population of 113,987. Caen is a city in northwestern France, and capital of the region of Lower Normandy (French: Basse-Normandie). Caen is located about 9 miles (15 kilometers) inland from the English Channel, and is located to the Northwest of Paris. As of the 1999 census, the city had a population of 113,987. 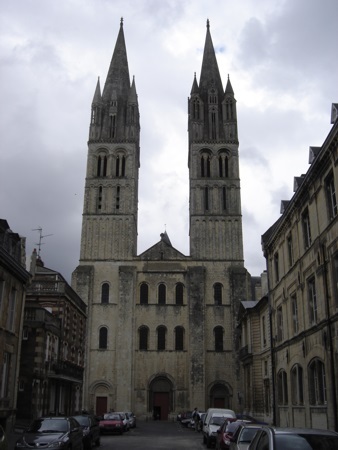 Caen is known for its many historic buildings, which were built during the reign of William the Conqueror (c. 1028 to 1087). William the Conqueror was in fact buried in the city. The most famous of the buildings built by William the Conqueror is Château de Caen, the castle. Château de Caen was built in approximately 1060, and is one of the largest Medieval fortresses in Europe. During World War II, the Allied's D-Day landings in France took place just a few miles away. After the landings, much fighting took place in and around the city (the Battle for Caen), which resulted in the destruction of much of the old city. As a result of the Second World War fighting, many buildings, many of which dated back to the Middle Ages, were destroyed. As a result, little of the prewar city remains. Reconstruction began after the war, but was not finally completed until 1962.